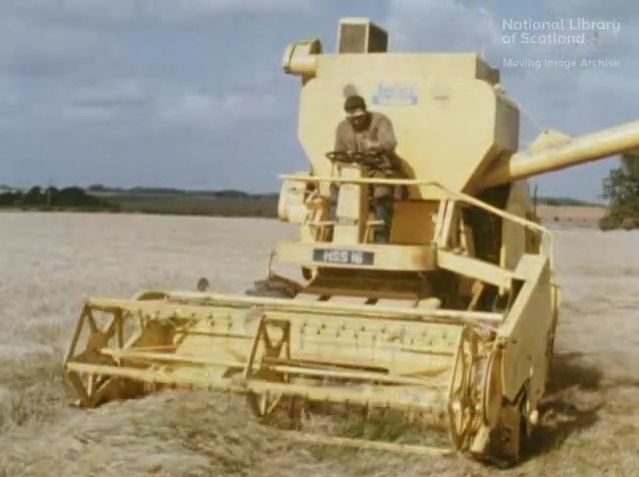 IMCDb.org: 1963 Claeys/Clayson M103 in "Forth - Powerhouse for Industry, 1968"
"In 1906 Leon Claeys, a Belgian mechanic, started to build threshing machines. 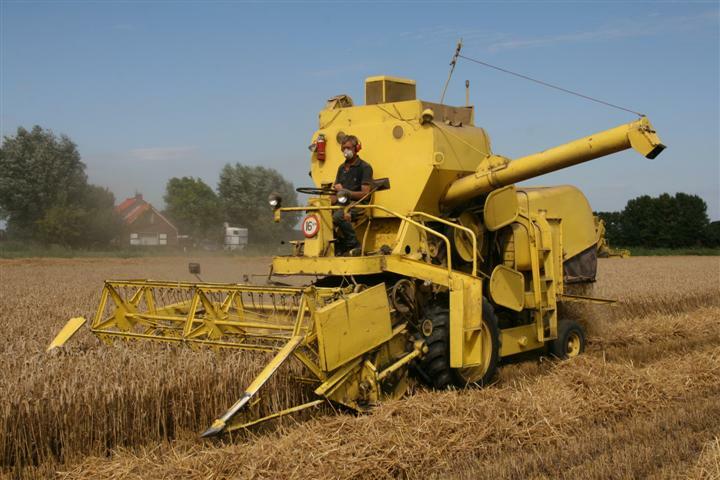 In 1909 he built his factory in Zedelgem, Belgium, to manufacture harvesting machines. 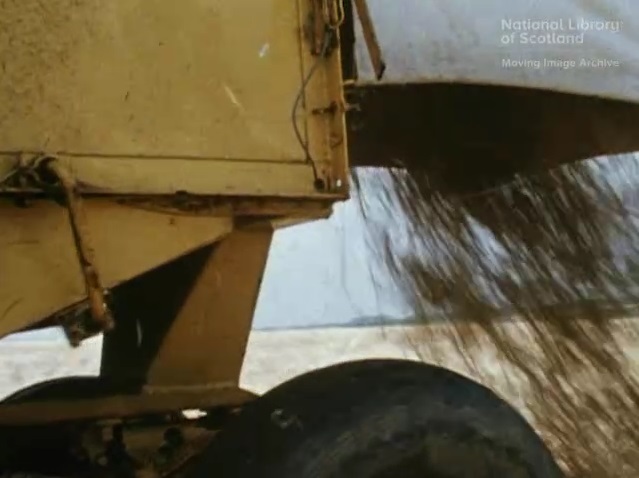 In 1952 Claeys produced the first European self-propelled combine harvester and by the 1960s, Claeys was one of the biggest combine manufacturers in Europe; in 1964 the majority of Claeys was acquired by Sperry New Holland. In 1967 the company changed the name in Clayson and in 1986 was merged with Ford. 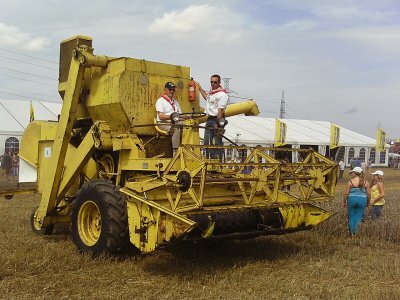 In 1991 Ford was acquired by Fiatagri and became New Holland." So in 1963 seems still a Claeys, but we only seem to have examples as hybrid Claeys-Clayson, including a couple of other M103s. The others under Claeys-Clayson had me confused when listing it, as that hybrid name doesn't appear anywhere else other than here. 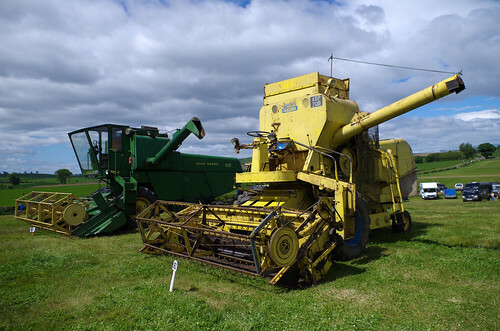 The hybrid because the M103 was produced under both names. 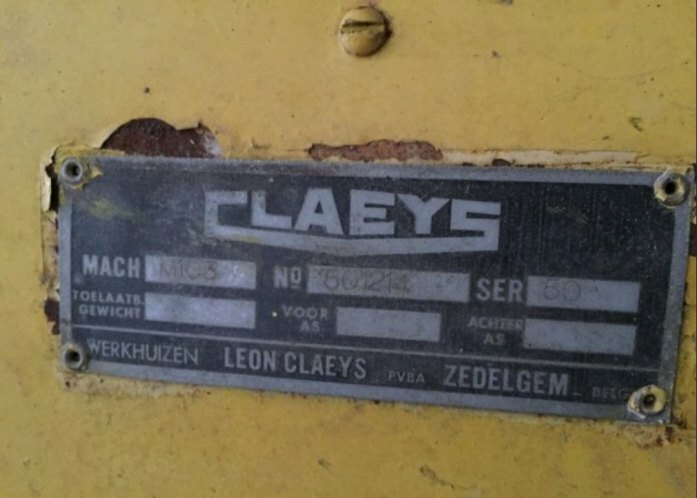 1958-1967 Claeys M103, the machines were badged "Clayson" (more international) since 1962/63. Though hyphenated is not really correct. I've replaced the hyphen with forward slash on all seven. Should be clearer.